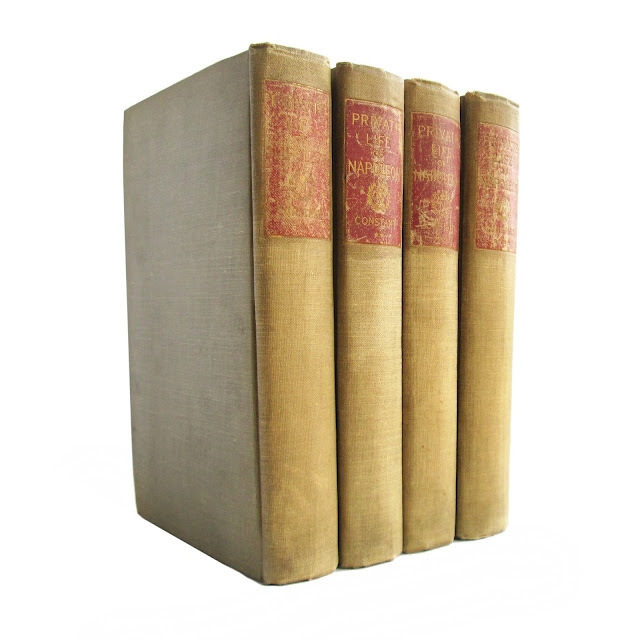 This antique hardcover four-volume set is bound in tan cloth boards with gilt lettering on a red background. 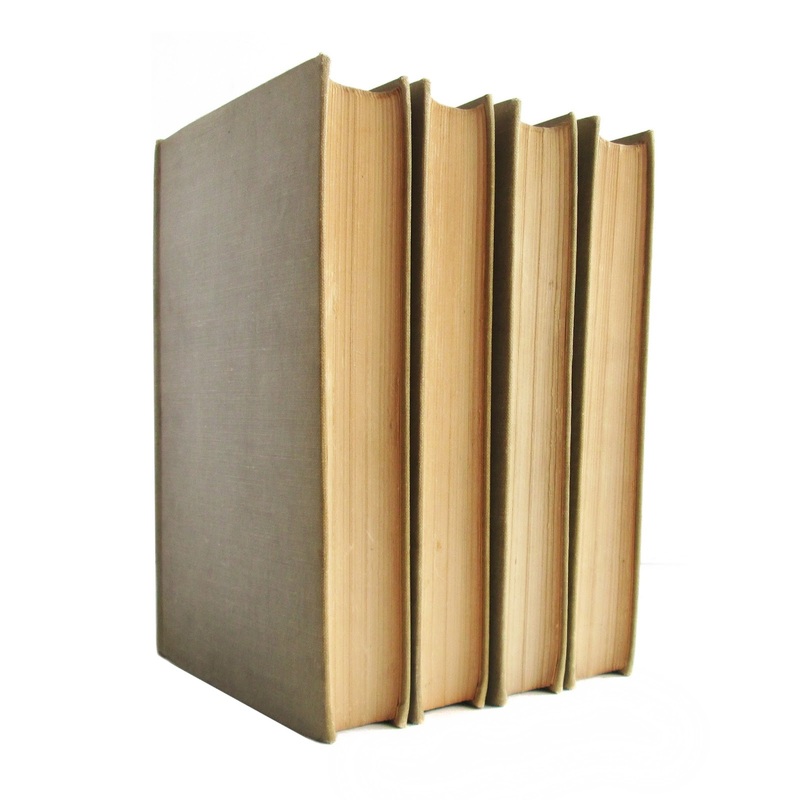 Spine labels are worn; covers have some soil, edgewear; inner pages clean. 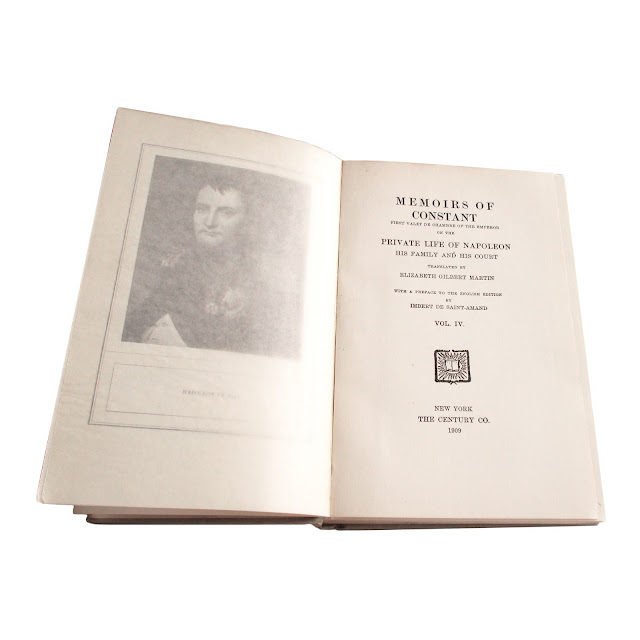 Top page edges are gilt. 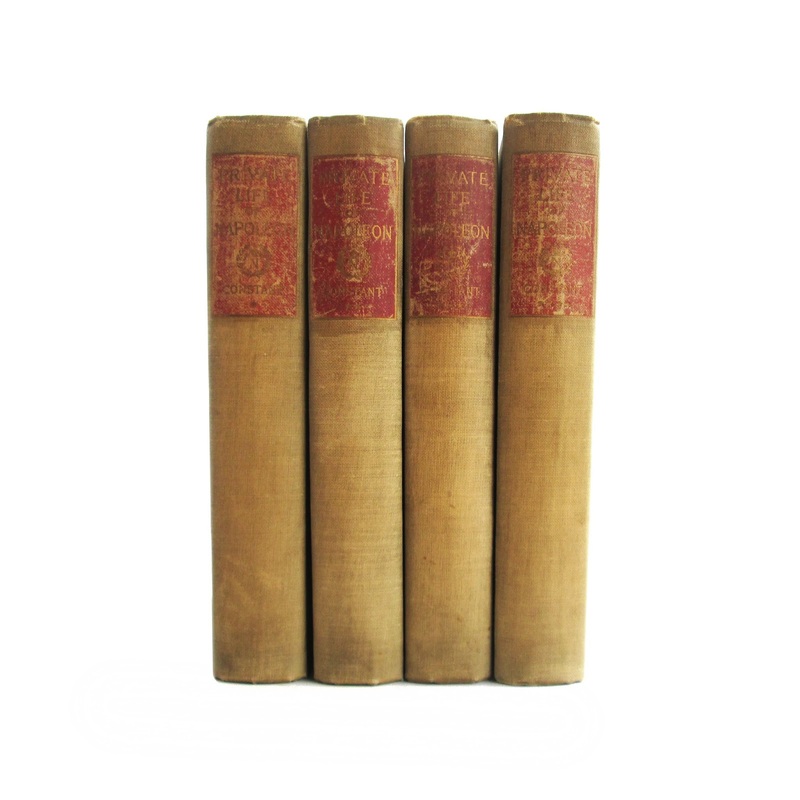 This set contains the memoirs of Napoleon's personal valet. Each is approx. 350 pages, 5"x8".